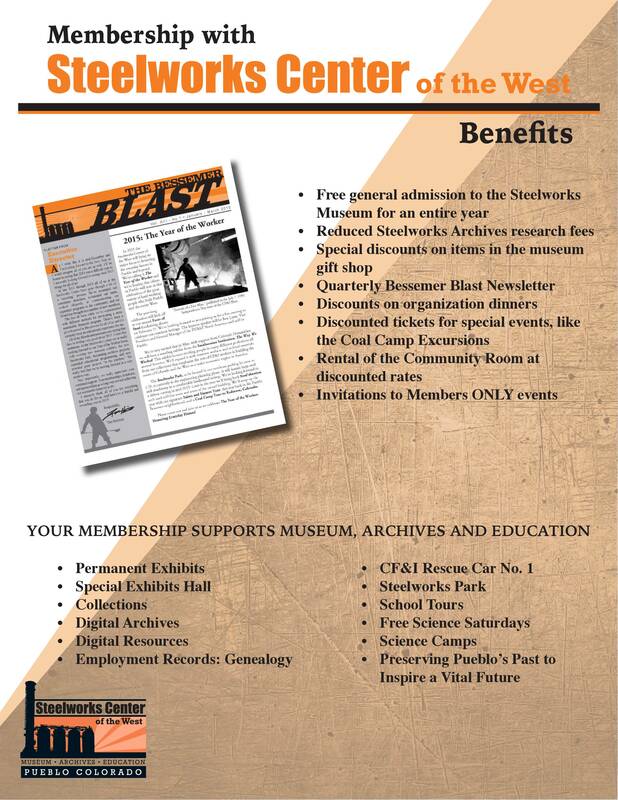 Consider becoming a member of the Steelworks Center of the West! 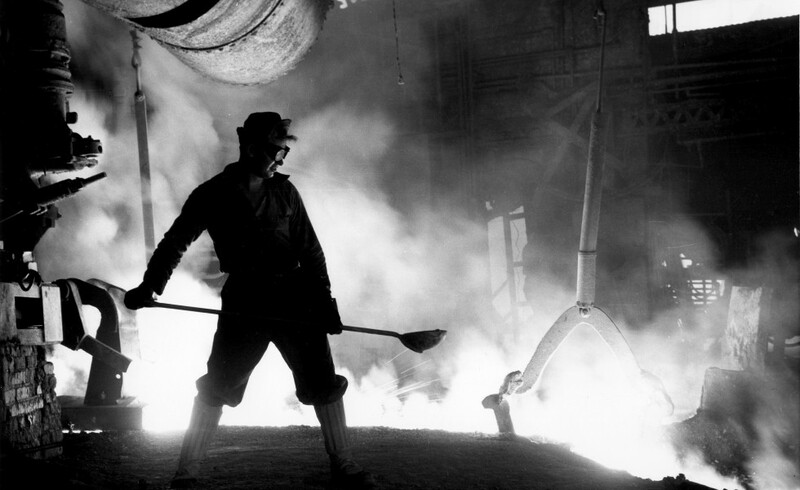 Your membership supports educational programming, museum exhibits, and our efforts to preserve the historical documents and artifacts of the Colorado Fuel and Iron Company. To join, you can either download this form and mail it in with your payment, fill out our online form, or come in to our museum. For more information or to join by phone, call 719-564-9086. Thanks for your support!